A Complete Self-Drive Week-Long Itinerary to Okinawa & The Best Places to Eat — Blake Erik. If you find yourself in Japan’s southern island chain of Okinawa, you’ll quickly realise that getting around by car is the best way to move around in the island prefecture. Getting by just on public transportation is possible, though difficult even on the main island of Okinawa. Outside of the more urbanised built-up southern end of the island, the northern part gets more rural and public transport gets even more difficult. With a rental car, you can take your time to see everything you’d like on your own time. This guide will focus on a full itinerary of Okinawa island, from the main cities of Naha and Nago to scenic attractions like Cape Manzamo and Cape Hedo, to famous theme parks like Okinawa World. Begin your Okinawa trip in Naha, the atmospheric but laid back capital city, which will most likely be your port of entry anyway. Parking in Naha is not difficult to find but it is expensive as you have to pay everywhere you go. Park somewhere near the main street of Kukusai-Dori as all of Naha’s attractions surround the palm-tree fringed boulevard. Head to First Makishi Market (mind, it is closed on Sunday), a marketplace of fresh produce and fish. You can choose your seafood from the market vendors below and head upstairs to have them cooked fresh. While you’re there, enjoy strolling down Don Quijote International Street for a spot of retail therapy. As you continue walking down away from Kokusai-Dori street, you’ll find Pork Tamago Onigiri Honten, a humble shack serving up delicious onigiri, where you’ll see the American influence come through in the presence of SPAM in onigiri. It may be popular for breakfast in the islands but you can also enjoy it as a snack, when lines aren’t as long. 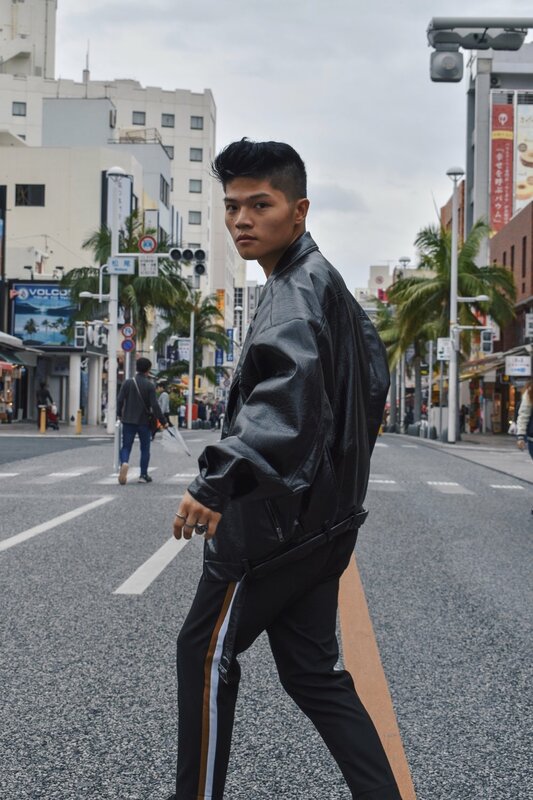 After which, head to the beautiful alleys of Tsuboya Pottery Street, where you’ll find local craft shops specialising in the art of pottery, with the Tsuboya Pottery Museum bookending the street. Enjoy a fantastic dinner at Masara Izakaya, a great restaurant popular with locals across the canal. You can’t miss the popular ice cream brand Blue Seal, which is a real favourite of tourists and locals. Seen as being born in the USA but raised in Okinawa, you’ll find Blue Seal absolutely everywhere. If you’re looking for alternatives, Yukisio Soft Ice Cream is also another popular shop to get your ice cream fix. Shuri Castle often tops the list of attractions on the island, due to it’s importance as a gem of the former Ryukyu Kingdom. Destroyed several times, including during the devastating Battle of Okinawa, Shuri Castle has been rebuilt in the image of it’s former glory, and offers stunning views of the city around too. There are several great places to eat around Shuri Castle too, including Ryukyu Sabo Ashibiuna where you can get an outdoor table and enjoy a bowl of Okinawan soba overlooking a beautiful Japanese garden in a courtyard. The restaurant gets busy though, so arrive early if you’d like a table. If you’re looking for somewhere more humble, Shuri Soba is a popular but small noodle shop. Even for someone who isn’t a history buff, it’s important to at least have a fundamental understanding of how Okinawa came to be, and the catastrophic effects of the War. The Former Japanese Navy Underground Headquarters gives you a sobering first-hand experience of what it was like for some of the soldiers navigating through the tunnels during the war, and the Okinawa Prefectural Museum & Art Museum features exhibits on local history, culture and art. If Shuri Castle is the beautiful, restored to former glory castle of the island, Nakagusuku Castle is a completely different experience, as you’ll get to see the stone walls and foundations of the former Ryukyu Kingdom castle. Nakagusuku is just one of the castles on the island, but is one of the better ones in my opinion, if only for the fact the castle grounds look small from afar, but are actually pretty vast. Nakagusuku Castle also offers stunning views of the Okinawa plains around with the sea in the background. After, head to Chatan, home to Okinawa’s famous Mihama American Village. Modelled after boardwalks not unlike those you’ll find in San Diego, this is where many young locals and American personnel come to hang out. Here, you can enjoy cuisines from all around, and we opted for Taco Rice, a fusion of Japanese cuisine’s omu rice, and the Mexican/American influence of burrito bowls. Taco Rice Cafe Kijimuna is a popular place, though slightly difficult to find as it’s located on the second floor of one of the many complexes in the middle of the American Village. Try spotting it by looking up at the balconies and looking out for the cafe sign. Lose yourself in the myriad of shops and restaurants around in the American Village, including vintage clothing and souvenir shopping. End your day at Sunset Beach, where you’ll hopefully get to see a beautiful sight at dusk. If you’re missing some comfort food for breakfast, head to Jakkepoes Pancake House for well, pancakes. Popular chiefly with the American community living in Okinawa and a handful of locals, it’s difficult to find parking here but the staff will help you should you ask. It gets incredibly popular for brunch and lines start to form outside, which is a real testament to how popular this little pancake house is, and the pancakes here are fluffy and served up piping hot. After which, head to the rocky cliffs of Cape Zanpa, home to a beautiful, glistening lighthouse. It looks stunning in the sunshine framed by a backdrop of clear blue skies. You can, for a small admission fee, climb up the lighthouse of about 100 steps, where you’ll get a beautiful view of the sea and surrounding Yomitan Village. If you opt not to climb it, there is a little (and I mean little) museum on the grounds, though it is written completely in Japanese. Enjoy lunch at another noodle restaurant by the name of Kingetsu Soba, which is not just popular for soba but for ramen too. Located on the eastern coast is Katsuren Castle (west to east coast takes about an hour to drive), another castle ruins of the former Ryukyu Kingdom and another popular site to visit, but if you only have time to visit one ‘ruined castle’, I’d recommend Nakagusuku Castle as Katsuren is a little smaller. However, you can view both the sunrise and sunset from up here as you can see both coasts from a vantage point. If you’re in Okinawa in the summer, Cape Maeda is a fantastic place for snorkelling and diving, and there exists many diving shops around, though I should mention parking here is not free, unlike most other places on the island outside of Naha. But the snorkelling and diving infrastructure here is well supported and thought-out, so you can see why many enthusiasts head here, not to mention the sheer number of diving shops around. End your day with another beautiful sunset at Nirai Beach, famous for the rock formations at the end of the beach. I should mention the Ryukyu Mura theme park is here too, and is pretty popular. It is, however, considered a tourist trap by many, the look of which didn’t exactly appeal to me too so I’d skip over it entirely. I did however head to Okinawa World, and you can read how I feel about it below. Okinawa World is a theme park of several exhibits, including one of the Habu Snake, a sprawling natural cave, and a restored Ryukyu village. Admission prices run on tiers, depending on the exhibits you want to see. I’d recommend foregoing just about everything apart from the caves, which are beautiful, but everything else felt a little like a tourist trap, including the animals in captivity and the Habu snake show. 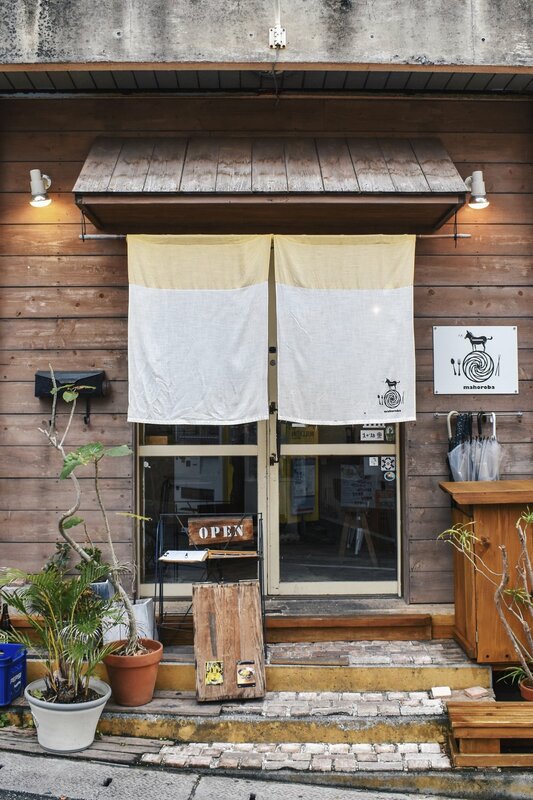 A 5 minute drive away from Okinawa World is a beautiful farmhouse-looking restaurant by the name of Tonsen Okinawa, with incredible Okinawan pork rice sets. Cave Cafe gives you the opportunity to enjoy a coffee in a cave just across Okinawa World, and is a beautiful place to spend some time. Cape Chinen Park is a beautiful park on the southern tip of the island, and definitely looks best when the sun is out. Okinawa Prefectural Peace Memorial Museum and Park is a serene park, and the warmth of the sunshine and blue skies strikes a contrast between the dark and sombre history that informs the museum, including some horrific facts about what happened to the island during the dark years of the Battle of Okinawa during World War II, which claimed the lives of many Okinawan civilians. Cape Manzamo is probably the most popular cape around, which you’ll see because of the sheer amount of tour buses unloading here every morning, and has a mono-directional walking path, with a horde of cameras and selfie sticks with the famous rock formations at Cape Manzamo. Nago is the biggest city on the northern part of the island, and if you find yourself in Okinawa during cherry blossom season, head to Nago Castle Park with a staircase optimised for cherry blossom viewing, and is known as one of the top hundred places in all of Japan to view these blossoms in their full bloom. Head to Churaumi Cafe after and enjoy a hearty plate of chicken curry for lunch, and you can explore Bise Fukugi Tree Lane, a walking lane lined by towering Fukugi Trees forming an overhead, overarching tunnel-like path. After, head to Churaumi Aquarium, probably the most well-known attraction in Okinawa. I have mixed feelings about the aquarium if only for the fact that dolphin shows still happen, and there are plenty of marine animals that probably shouldn’t be in captivity, but it does contribute to a fair amount of research about marine life globally, though I did leave with mixed feelings. If you still have time in your day, do a scenic drive up to the northernmost tip of the island to Cape Hedo, a stunning cape with jaw-dropping rock formations that many have said look a little like Jurassic Park. The drive up takes a long time though. Even from the northern cities like Nago and Motobu, it’s still at least a 2 hour drive up. But it is absolutely worth it, if you make it up there. If you have even more time, do day trips out, like to the Kerama Islands, the snorkelling and diving haven near Okinawa Island. Here, you’ll find crystal clear waters of every shade of turquoise and blue, and if you’re headed to Okinawa for that perfect beach holiday, outside of Okinawa island is the best place to find it. If you’d like to stay within Okinawa Island, there are still some other places to visit dotted around the island, including Kouri Ocean Tower, Nakijin Castle Remains, Ta-Taki Falls, Yakena Straits Observatory, Ikei Bridge etc., not to mention some Naha sights you might’ve missed due to time constraints before. The main island is often a gateway to many other islands further south, including the beautiful Ishigaki Island, which you’ll have to get to via plane. Okinawa Island may be small, but as you can see, there’s plenty to do to fill up your days, and getting a car to drive around will give you the most freedom, not to mention driving in Okinawa is an absolute peach.